This project required the sensitive design of a garage to compliment the existing bungalow style house in West Seattle. 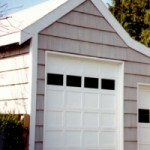 The two car garage was designed with a high door and a standard door to accommodate the client’s pick-up truck. 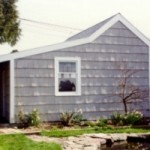 Windows salvaged from the existing house, shingles, and trim match the existing house to create a seamless blend. PA/PM/CA/Construction work completed by Brian Rich.